Gamescom 2018 is where most of the FIFA 19 news and details are supposed to be unveiled. Because of that, we bring here a short updated guide with all details you need to know. Find out how to access the event, discover the FIFA 19 announcements before anyone else and watch the live stream and the first videos. “The Heart of Gaming” – that’s gamescom. The leading European trade fair for digital gaming culture is the meeting point for global companies from the entertainment industry and the international gaming community. Once again in 2018, Cologne will stand for innovation, enthusiasm and playing fun: the next gamescom takes place from 21 to 25 August. Gamescom 2018 is a trade fair for video games at the Koelnmesse in Cologne, North Rhine-Westphalia, Germany. It is organized by the Bundesverband Interaktive Unterhaltungssoftware (Federal Association of Interactive Entertainment Software). It is used by many video game developers to show off their upcoming games and game-related hardware. Gamescom 2018 is the world’s largest games event with 400,000 visitors, more than 5,000 journalists and 900 exhibitors from 54 countries. It was first held August 19-23, 2009. There are areas for business, entertainment and professionals. The conceptual fundaments of gamescom consist of an efficient and comfortable business area, an entertainment area for the ultimate gaming and fun experience and the gamescom festival in the centre of Cologne to attract new target groups. As the only event of its kind, gamescom links the entire value-added chain, from developers, publishers and the trade all the way down to consumers, while stimulating discussion forums at every level. The entire games world will present itself to the public at gamescom, the leading B2B entertainment trade fair in Europe and beyond. In Gamescom 2018, plenty of innovations in games software and important hardware news are expected, as well as hundreds of world, European or German premieres. As a private visitor, with your ticket you have the opportunity to visit the entertainment area from Wednesday, 22.08.2018 to Saturday, 25.08.2018. Wednesday, 22.08.2018	10:00 a.m. – 08:00 p.m.
Thursday, 23.08.2018	10:00 a.m. – 08:00 p.m.
Friday, 24.08.2018	09:00 a.m. – 08:00 p.m.
Saturday, 25.08.2018	09:00 a.m. – 08:00 p.m.
Gamescom 2018 serves as the central platform for the European computer and video game industry. This show brings together the retail, trade and the media providing the ideal setting for the establishment and cultivation of business relationships. The division into business area and entertainment area stands for a concept which will attract and appeal to industry and private visitors equally. There is much more to do on Gamescom 2018 besides playing FIFA 19. Expect jaw-dropping indoor and outdoor performances, sensational live acts and the newest highlights from the gaming world. You’ll be there when the top industry players present a one-of-a-kind gaming spectacle of a class all its own. devcom is a new top-notch global developer conference, which will include conventional conferences, renowned international speakers, summits, master classes, workshops and networking events. devcom is being organised by Aruba Events GmbH in collaboration with Computec Media GmbH and International Business Media. devcom is sponsored by the BIU (Federal Association of Interactive Entertainment Software) and Koelnmesse. 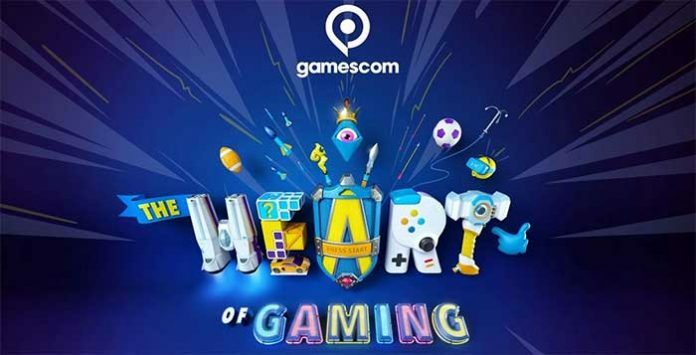 The gamescom congress is Germany’s largest congress revolving around digital games, and acts as an interface with other cultural and creative branches, as well as with the digital economy. Koelnmesse organises the gamescom congress in cooperation with the BIU, the association of the computer and video games industry in Germany. Both the federal state of North Rhine-Westphalia and the City of Cologne are sponsoring the congress. The gamescom congress is a central element of gamescom. From Friday, 24 August to Sunday, 26 August, Cologne City will be the centre of entertainment. Visitors will expect artists of various genres at several stages and gaming modules where visitors can gamble after closing of the fair. gamescom will be organised by Koelnmesse GmbH in cooperation with German Trade Association of Interactive Entertainment Software (BIU). gamescom festival is a project of Media Kultur Köln GmbH and prime entertainment GmbH in cooperation with Koelnmesse GmbH and the city of Cologne. Electronic Arts brings to the Gamescom 2018 an event where FIFA 19 and other EA games will be shown. Let’s see what we know about it. EA at gamescom experience will kick off on Tuesday, August 21. Mark this date on your calendar. A new FIFA 19 trailer will be released during the Gamescom 2018. A teaser will be released a few days earlier. Career Mode details, new leagues and release date of the demo. If you plan on attending Gamescom 2018, join EA at Hall 6 and be among the first to play FIFA 19 or other new EA’s titles. They’ll have over 300 game stations for you to get hands-on with your favourite games. You’ll also able to watch live entertainment from the EA stage, including live FIFA 19 gameplay competitions, as well as hear more about your favourite EA games directly from EA producers. Hear from the makers of your favourite games with more about what’s in the game, with insights and stories from the development studio. Take part in live gameplay challenges on stage, competing against community members and professional athletes. Daily contests where you can win Fatboy Gaming Seats, Steel Series Peripherals, strictly limited Mirror’s Edge Catalyst PS4 controllers, cool EA game packages and many other cool prizes.